In South Africa boerewors is generally cooked outside on a “braai” (barbecue) and eaten with pap (the good old pap and wors addiction). It can also be eaten on a roll which is know as a boerewors roll. The aroma of a boerewors braai (barbecue) is enough to set all the neighbours watering at the mouth. 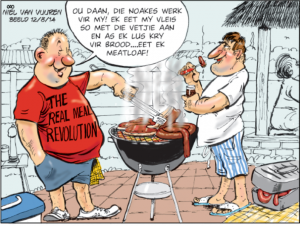 Cooking “boeries” is one of the easiest tasks on earth, but I remain astounded by the numerous occasions I have observed this brilliant sausage bastardized to the brink of extinction by so called “braai specialists”. They burn it to cinders by leaving it cooking for far too long; they destroy the flavour by placing it over to high a heat; they cut it into shorter pieces during the braai period, letting all the wonderful juices escape into the fire. Some ignoramuses even prick the boerewors with a fork while cooking it in order for the fat, as they call the juices, to escape. “Put the “boeries” on first” they exclaim, “It has to be well done”. 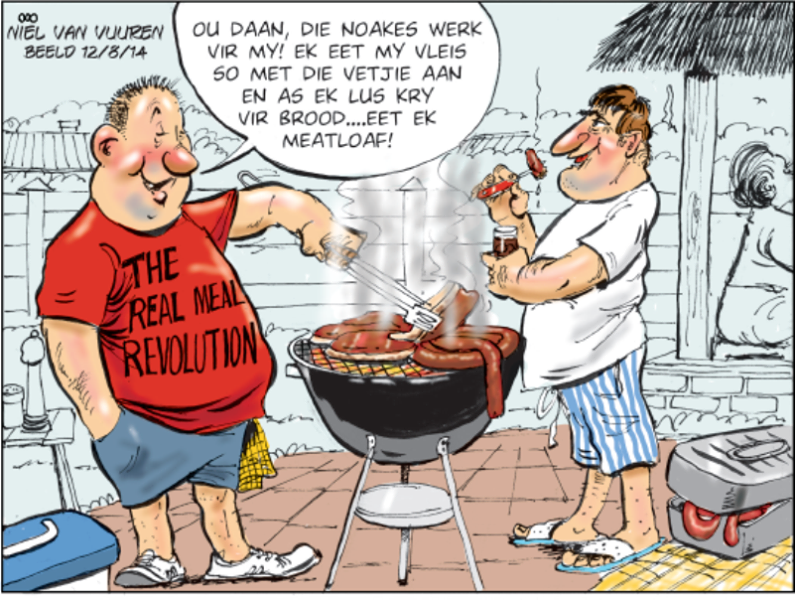 Well, each to his own, I suppose, but some of these “braai kings” should consider that they are not only cooking for themselves but for others who want to enjoy decently cooked wors, as well. Properly cooked boerewors should be done, but succulent when eaten. It should be grilled the opposite to what has been described above-over medium heat, turned only a couple of times and served when you can still see the juices bubbling inside. A good braai host will always inquire as to who likes their food well done, and leave separate portions to cook longer for those who prefer it so. Just remember … over-cooked meat cannot be undone!